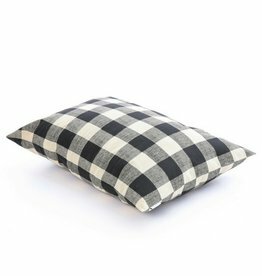 This Buffalo Check dog bed features the classic plaid that everyone knows and loves, in alternating 3" squares of black and light tan. 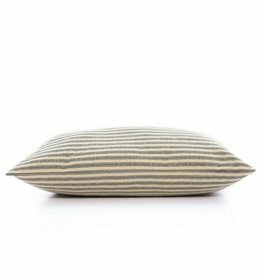 The Ticking Stripe dog bed features one of our most popular prints, a classic black ticking stripe on a tan background. The cover is made from heavyweight upholstery-grade cotton fabric that is beautiful, durable, and machine washable.